Huw Llewelyn Morgan was born in Newport, South Wales, in 1975. He read music at St Edmund Hall, Oxford where he was organ scholar; following a career in the financial services, Huw graduated in 2007 from the Royal Academy of Music, winning the Olwen Doreen Leyshorn prize, after studying choral conducting with Patrick Russill, voice with David Lowe and the organ with David Titterington and Susan Landale. 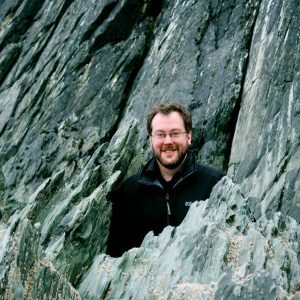 Huw has directed many choirs, most recently the Hanover Choir (London), the Merbecke Choir of Southwark Cathedral, and that of St Laurence Church, Catford; he has taught for the Royal School of Church Music and managed His Majestys Sagbutts & Cornetts. He performs regularly as an organist, and in 2013 he recorded his debut solo CD Breaking Light for SFZ Music, described as “sparkling” and “wonderfully atmospheric” in Church Music Quarterly (June 2014). Huw composes for choir and organ and is published by Firehead Editions; in 2013 with the organists Lauren Redhead and Michael Bonaventure formed Automatronic, a collective that explores, creates and promotes new music for organ with electronics. Huw’s music has been performed at festivals and venues across the UK, Europe and North America, on several CDs, and on Radio 3. Recent commissions have included a joint project for a large-scale choral work for Ipswich Choral Society and Dance East and a piece for two organs with electronics for Arizona State University. David Pipe (Leeds Cathedral) has recorded Huw’s organ works at Bridlington Priory for release on the Meridian label later in 2018. After a spell living in Hamilton, New Zealand, Huw now lives with his wife Emma and daughter Arwen in rural South Wales and Bristol. He is a keen photographer, follower of rugby and cricket, and enjoys walking in the ancient rural landscapes of Britain. Huw took over the conductorship of The Ripieno Choir in July 2018.